The embattled former president of The Gambia, Yahya Jammeh, has accepted to quit and preparing to go on exile. He made the commitment during his meeting with the presidents of Liberia and Guinea in a last chance to respect the constitution. "I would like to inform you that Yaya Jammeh agreed to relinquish power and leave the country", President Adama Barrow said on his social media account. 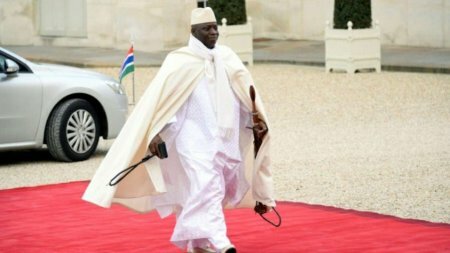 The announcement came hours after military forces of the Economic Community of West African States (ECOWAS) crossed from Senegal into Gambia in an attempt to search for Jammeh. On Thursday, President Adama Barrow was sworn into office in the Gambian High Commission in Dakar, Senegal. Barrrow fled to Dakar on Saturday for security reasons. Jammeh lost the December, 2016 Gambia presidential election to Barrow.